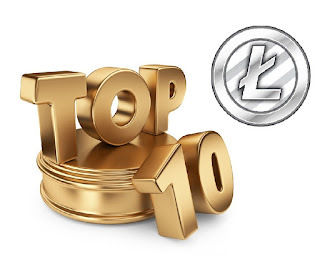 Here is a brand new TOP 10 of the best LiteCoin Faucets at the moment (January 2019) ! You might have to disable your Adblock if you have one on some of the websites ! You will also need a CoinPot.co or a FaucetHub.io Litecoin adress for some of these faucets. It's actually better, because all your Litecoins will be sent to the same account instead of having them on many various websites. Please note also that the amount you earn on this faucets can vary if the price of Litecoin change. This is the best LiteCoin Faucet in my eyes, it is very easy to use, you just need to fill a captcha and you can claim ! You can claim every 5 minutes, but if you wait longer, the amount will still grow and grow, so you can only claim once every few hours and it still really worth it ! Every claim is sent to CoinPot and that makes it more safe. Here you will be also able to claim every 5 minutes , but this time it's 1000 litoshis every time you claim ! You need a FaucetHub.io LiteCoin adress to claim here and the litoshis will be sent directly to there. You can also get 1000 Litoshis bonus on your next claim if you click on "+1000" and do the captcha ! xFaucet is exactly the same looking then Konstantinova, but it is 600 Litoshis to Claim ! If you get how to use Konstantinova , you can claim here too. You can also get 1000 Litoshis bonus on your next claim if you click on "+1000" and do the captcha ! It's a really good Faucet, over 800 Litoshis every 5min, and it's directly sent to FaucetHub account as usual ! Just put your adress and do the anti-bot ! You can get 500 Litoshis every 5min here ! Put your adress and login, then you will might have to wait a few seconds before you can click on claim. You can also get 1000 Litoshis bonus on your next claim if you click on "+1000" and do the captcha ! This Faucet is also working with FaucetHub, every 10min you can claim 1200 Litoshis that will be sent to you FaucetHub adress directly. Type your adress and claim, very easy to use also. ForumCoin will give you 550 Litoshis every 5min , with a small chance to earn 750 or 1000 Litoshis. As always it goes to the FaucetHub adress. CatcatyFaucet is a well paying Faucet with 900 Litoshis at every claim, but you will have to wait 12 hours to claim again ! It's a good one if you don't wanna go claim every 5min but still want to earn some Litoshis ! Once again it's sending directly the LiteCoins to FaucetHub. This Faucet is very fast to use, gives you 500 Litoshis every 10 min ! It's really quick and easy to use and your Litoshis will arrive directly on your FaucetHub account. You will have to do a captcha and a anti-bot , and you can claim 400 Litoshis every 3min on this faucet. Your claims will be automatically sent to your FaucetHub.io account as usual ! Get 10$ Bonus for signin up and buying your first bitcoins !!! Coinbase is the most famous website to buy Bitcoin ! 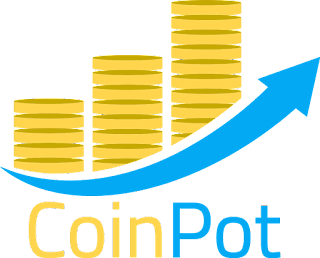 CoinPot.co is a new faucet platform for Bitcoin, Litecoin, Dogecoin, Dash & Bitcoin Cash. There are a few faucets that will send your claims to CoinPot ! And this faucets are among the best of the moment. These faucets don't have much adds and I think they are easier to use than most of the FaucetHub faucets ! If you don't know them, you should try it ! All of the faucets send the satoshis to CoinPot directly ! One of the most paying Bitcoin faucets !! You can claim every 3min , but if you wait longer, the amount will continue to grow ! And that makes it really interesting ! You can claim 25 to 500 satoshis, just by going on the website, click on claim and do the captcha to prove you are not a bot. Bitfun got also some games ! If you want to start in the world of the Crypto-currencies, faucets are a good way to earn a bit of Bitcoin easily and for free ! I tried them all and I can say they are all working well and there is no scam ! For some of them you will need a FaucetHub.io or a Coinpot.co account, these are special wallets for Faucets. Many Faucets websites are sending directly to FaucetHub or Coinpot , so you don't have to have your money on many different faucets websites ! Please note also that the amounts can vary when the Bitcoin price is changing !